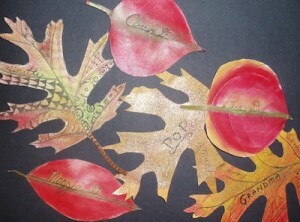 Easy Craft Idea for Thanksgiving Place Cards: Fun with Fall Leaves! This Thanksgiving place cards craft is a super versatile project that you can make out of any materials you have around the house. Trace leaf shape onto paper, paint first and then cut out shape. This way, you don’t have to worry about painting outside the lines. 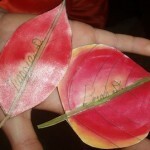 Draw the veins on the leaf to make it look real. 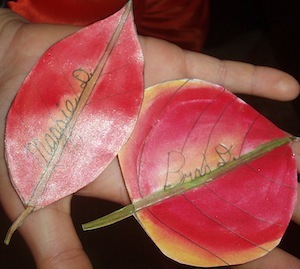 Write the person’s name on the leaf and decorate with glitter. On a couple of them I also added words related to Thanksgiving. 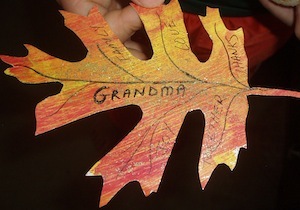 It would be fun for kids to make a word collage of words on each person’s leaf. 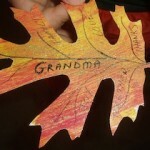 These Thanksgiving place cards were super easy to make and will add such a special touch to our Thanksgiving table!